Please note that this link can be slow to load. Thank you for your patience! This ram is probably the heaviest cutting sheep Nerstane has produced. N4636 has a very special skin type which carries heavy, true white, almost shiny wool all over his body. 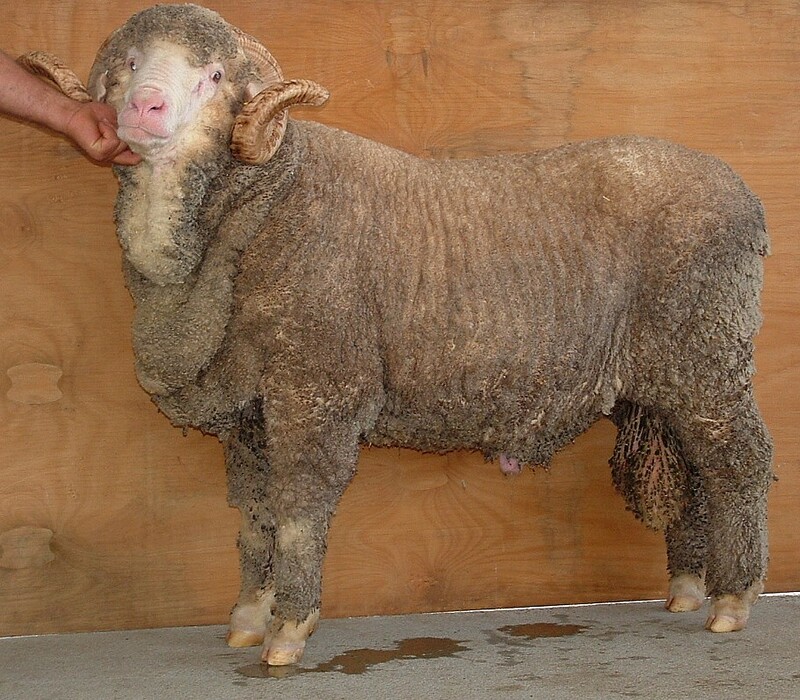 As a 2 year old ram at Dubbo National show, he was regulation shorn in the production class and was the heaviest cutting, with the finest micron out of all the rams. He cut 16.1 kg of 18.7 micron wool! At the 2008 Sydney Royal show a full sister to N4636, N984, was judged Best Junior Exhibit of the show. The next day she was given Grand Champion Fine Medium Wool Ewe and then was unanimously judged the Best Ewe of the entire show. This ewe was the mother of Nerstane’s 2011 NSW Ram of the Year, N910. Nerstane has used this outstanding son of N43 extensively in ET, AI and naturally and had some very interesting progeny. He throws a very white crimpy wool (with that same nourished tip) that always seems to weigh heavy. N4636 has been proven in the Western Australian and the Tasmanian Central Test sire evaluation sites as well as the sheep CRC’s Genomics program. Some of N4636’s outstanding progeny include N318 who was judged Supreme Merino Exhibit at Sydney Royal Easter Show in 2011 and was sold for $26000, and N75 who was the top hogget sold at our on property ram sale in 2012 at $7000. N4636 was the sire of Langdene stud’s $50,000 ram at Dubbo in 2017.